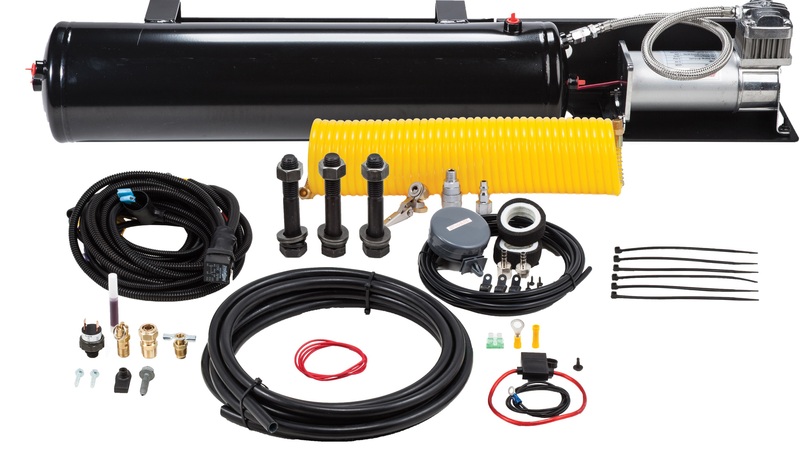 Veloci-Raptor™ 100% Bolt-On Onboard Air System for 2009-2014 Ford F-150 & Ford SVT Raptor. F-150/SVT Raptor model-specific brackets for tank & compressor – made in the USA! 1.5 gallon steel air tank with Cortec™ interior anti-corrosion coating – made in the USA!